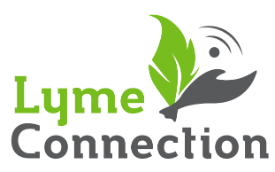 Lyme Connection Pet Editor Nancy Whyte-Olay spoke with Dr. Sarah Timm of the Roxbury Animal Clinic about tick-borne disease prevention for our favorite four-legged friends. Dr. Timm believes that tick-borne disease is 100 percent preventable, as long as there’s strict compliance with preventation products and yearly screening to ensure a negative Lyme status. Are there any new products that you are using in your practice? What products do you recommend in your practice? Is one type of prevention product - topical, collar, oral tablet - most effective? At my clinic we try to carry at least one brand of each type of product. For topical preventatives, we carry Vectra for dogs and Frontline for cats. Another type of topical prevention is with a collar; we carry the Seresto collar. Within the past year, we’ve started to carry Nexgard, a new oral preventative,. However, there are many equally effective products available. Shelf space in veterinary clinics can be limited, so we can’t stock all of the products that are out there. Speak with your veterinarian about which product is best for your pet and your lifestyle. Do you recommend a combination of products, such as shampoo and topical? Sometimes I recommend using multiple products on one pet, but this is pet-specific. For instance, some pets, like hunting and working dogs, are at a higher risk for flea and/or tick exposure. For these pets we double-up on the preventative. I usually recommend using a topical preventative with an oral preventative. For example, you might put a Seresto collar on your dog and at the same time give them a monthly Nexgard tablet. Which products are most effective in protecting against the range of tick-borne diseases? All of the products currently on the market are quite effective when used properly. The most effective products fit a household's lifestyle. For example, Seresto collars are very useful because they last for eight months, so you can just put it on and forget about it for a while. Any of the topical liquids (Advantix, Vectra, Activyl, etc.) work well, as long as they are applied correctly, closely following the label directions. The oral products work differently from the topical products, because the tick must bite the dog to ingest the chemical. This might seem counterproductive, but the tick dies so quickly that the tick does not have time to transmit disease to the dog. What do you recommend for households with dogs and cats? The major difference in flea and tick prevention between dogs and cats is that you must never use a permethrin containing product on a cat. Cats cannot metabolize permethrin properly and it can kill them if they absorb it into their skin. If you use a permethrin product on your dog, be sure that no cats come in contact with the dog until the product had dried completely on the dog. If I have a client with cats that are very friendly with the dogs, I do not recommend using a permethrin product. The risk is simply too high. There are so many other equally effective products available, we can easily just choose something else. Are there prevention products for horses? There are fewer prevention products available for horses. There are general fly sprays that most horse owners will be familiar with, and these will have some repellency for ticks. There are also some longer-acting insect sprays that I often recommend owners use on their horses. Apply these sprays on the belly, groin, and armpit areas of the horse and reapply every one to two weeks depending on need. Remember that most of these products do contain permethrin, so cats should be kept away from the horses. Do you see side effects or any long-term problems from the product used in your practice? Like any medication, we sometimes see side effects. For topical products, the side effects range from simple skin irritation at the site of application to gastrointestinal upset to more severe neurological issues. For the oral products, the only side effects I have personally seen are gastrointestinal, i.e. vomiting and/or diarrhea. I am not aware of any long-term side effects that have occurred in my practice. Tick tubes, such as Damminix Tick Tubes, are filled with permethrin-treated cotton balls for yard mice to use in their nests. Will it harm a pet that finds a discarded cotton ball in the yard and mouths or eats the cotton ball? Or if a pet has contact with a mouse or chipmunk coated with permethrin? Yes, permethrin-treated materials may be toxic to a cat or dog if ingested. It all depends on the concentration of the permethrin and the amount ingested. In cats, permethrin in any form, topical or oral, is toxic. In dogs, topical permethrin is not toxic, but oral permethrin at higher concentrations can be. Additionally, permethrin is rapidly absorbed and broken down by the liver when ingested, therefore it is essential that your pet be seen by a veterinarian ASAP if you think it has ingested permethrin. In dogs and cats, symptoms of permethrin toxicity are usually neurological, such as tremors, wobbliness, falling down, or strange eye movements. Could you comment on the use of the annual Lyme vaccine in addition to prevention products? I've heard many people comment that they think their pet is protected if they have the Lyme vaccine. Layer 1: Topical preventatives kill a tick because the tick absorbs the chemical from the oil on the dog's skin. The tick becomes paralyzed, cannot feed, and dies. If the tick does not absorb enough topical preventative or it does not kill the tick, then it will bite the dog and confront Layer 2. Layer 2: This is the oral preventative. This chemical is circulating in the dog's bloodstream and is ingested by the tick when it takes a blood meal. The chemical kills the tick, usually within a few hours of the tick bite, depending on the product. A tick must be embedded in a dog's skin for at least 48 hours to transmit disease. If for some reason the tick does not die after ingesting the chemical from the dog's blood, and it stays on the dog for at least 48 hours, the final layer of protection comes into play. Layer 3: Circulating antibodies bind to the bacteria when it is in the tick and prevent infection if the bacteria is transmitted into the dog's bloodstream.